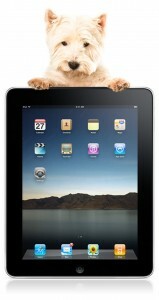 WIN AN APPLE iPad! Vote For Us! 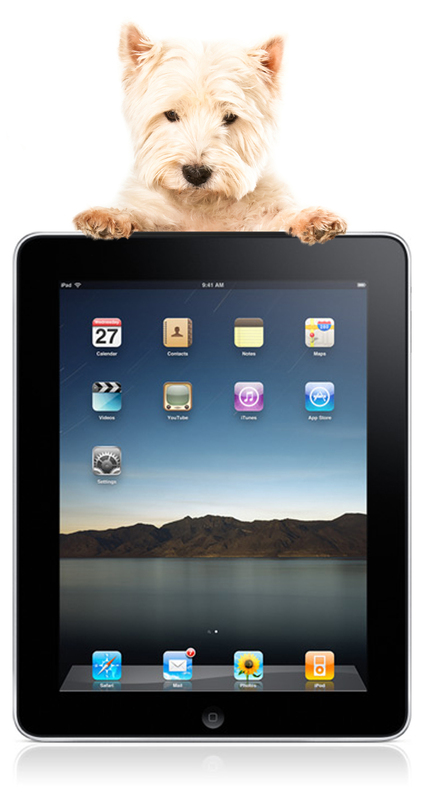 Vote for Urban Dog Training to WIN AN iPad! Urban dog training has been nominated in the Top Trainer category in this year’s prestigious Paws & Claws Awards. By voting for us you are automatically entered into the draw to win the iPad. Voting in the Paws & Claws People’s Choice Award is open to Australian Residents only. Each person may submit only one vote. Entries open at 8 am (AEST) on Thursday 1st July 2010. Voting in the Award will close at midnight (AEST) on Thursday 26 August 2010. No votes will be accepted after that time. Urban Dog Training is not responsible for votes lost or delayed or not received for any reason. The winners of the second and third prizes must be able to attend Urban Dog Training’s venue situated at 1413 Creek Rd Carindale QLD 4153 to participate in their prizes. All Prizes cannot be transferred, exchanged or redeemed in cash. The value of each prize as stated in these Conditions of Entry is stated in good faith and the Urban Dog Training accepts no responsibility for any variation. Urban Dog Training reserves the right to substitute any prize for an item of similar value. All prize winners will be notified by email on or about 20th September 2010, or otherwise as soon as reasonably possible following Urban Dog Training’s determining of the prize winners. The names of the winners will be published on the Urban Dog Training website on Monday 20th September. Urban Dog Training may use any information (including personal information) provided by any person who submits a vote to contact him/her for any reason in relation to the Competition. The decision of Urban Dog Training in relation to any aspect of the Competition will be final, and will be binding on every person who enters the Competition. No correspondence will be entered into. If there is an event which prevents or hinders Urban Dog Training’s conduct of the Competition, or Urban Dog Training’s ability to deliver the prize to the Prize Winner, then Urban Dog Training may, in its discretion cancel the Competition subject to State Regulation or select other Prize Winners. Further, Urban Dog Training may at its sole discretion recommence it under the same conditions. Each vote must be made in accordance with these Conditions of Entry. By submitting a vote in the Competition, each entrant agrees to be bound by the Conditions of Entry. Urban Dog Training may at its discretion refuse the award any prize to any entrant who fails to comply with these Conditions of Entry. To be eligible to win all required fields on the Paws & Claws People’s Choice Awards Voting Form must be completed correctly and a valid email address supplied for verification purposes. To be eligible to win votes must be cast for Urban Dog Training in the Top Trainer category. The promoter of the Prize Draw is Urban Dog Training www.urbandogtraining.com.au.